Armeena Khan took to Twitter to share the first look of her upcoming film Sherdil which also feature Mikaal Zulfiqar. However, the tweet had no caption and the actress let the video do the talking. 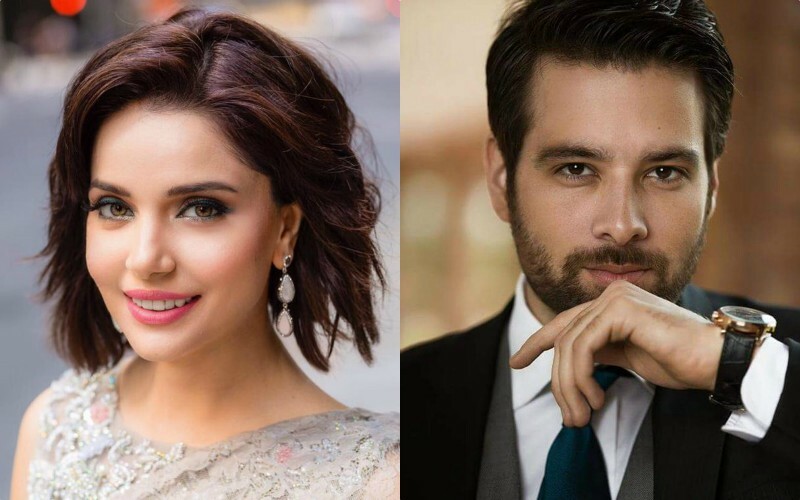 The 40-second video which features photos and video snippets of Armeena with Mikaal Zulfiqar and other cast members, show that the actors will be essaying the role of pilots in the film. Furthermore, the opening of the film shows that it will be centered around Pakistan in 1965. According to inside reports, the film will be shot in Egypt and Pakistan. The launch ceremony of the film was held at Islamabad and the cast and crew of the film were present at the event. The movie is set to be directed by Azfar Jaffary and produced by Nouman Khan of NK Pictures. From the name of the movie, we can speculate that the movie might be inspired from the Sherdils (Lion Hearts) of Pakistan. Sherdils is the aerobatics display team of the Pakistan Air Force (PAF). The Sherdils are based at the Pakistan Air Force Academy, Risalpur, Pakistan and consist of nine Karakoram K-8P aircraft. Pilots of the Sherdils are not dedicated aerobatics pilots like other famous aerobatics teams but draw their pilots from jet flying instructors at the PAF Academy’s Advanced Jet Training Squadron. The Sherdils usually display their acts on special occasions which is a treat to the eyes. While, we don’t know when Sherdil will be release, we are looking forward to Parwaaz Hai Junoon which is also based on the airforce and is scheduled to release this year.